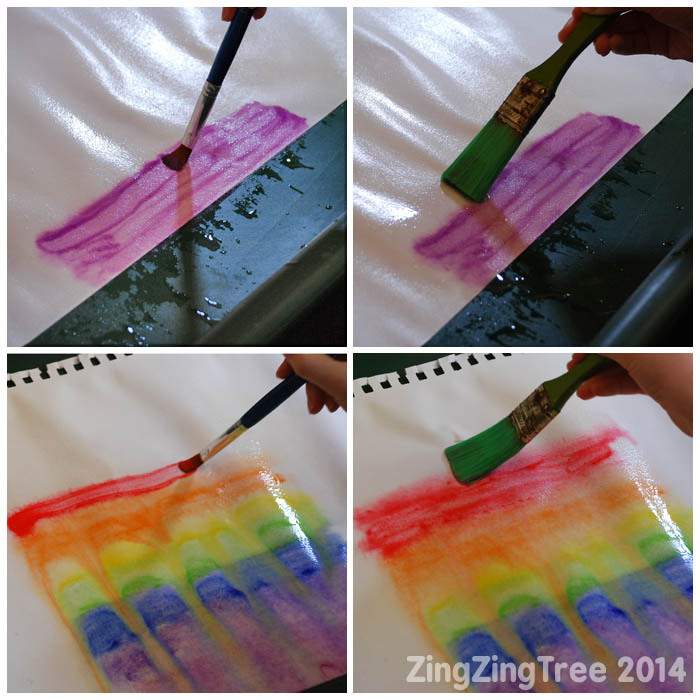 Rainbow Paint Bleed Art is not only fun but creates the most beautiful blends and patterns. 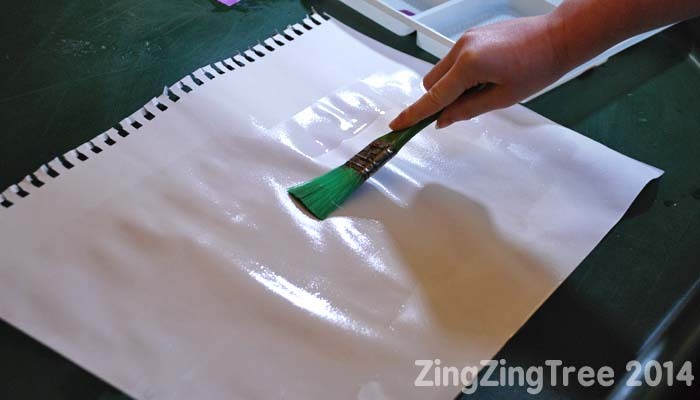 Thin the paint so it’s very watery and will flow on the paper. Using a sloped work area (we propped up a builders plastic cement tray on a beanbag) wet your paper all over with clean water. 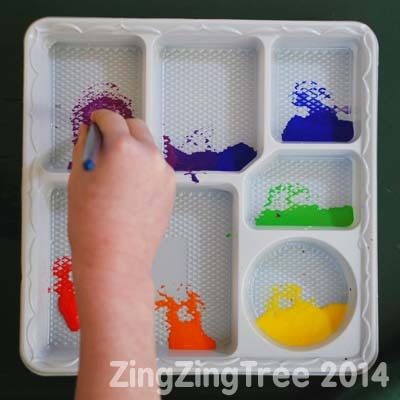 Starting at the bottom of the paper, paint a block of watery violet colour. Next, brush a layer of clean water above the violet colour block just touching the very top edge of the paint. 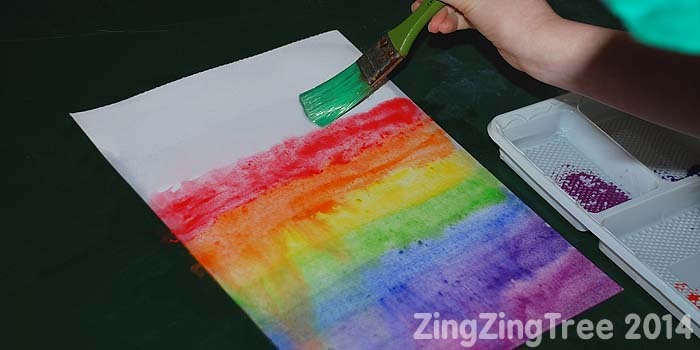 Continue painting the blocks of rainbow colour one by one including the water sweep finishing with a final water sweep above the red. As my eldest found out, the paint will bleed and move differently depending on the paper used. The thin cartridge paper warped and created its own channels for the watery paint to travel down.When we used thicker watercolour paper which didn’t warp the paper bleed was more subtle. 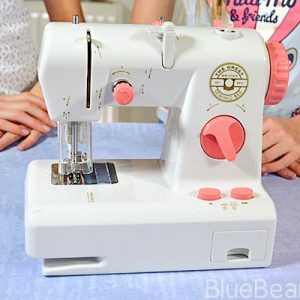 They make beautiful pieces of art work as they are but you could also use them as a back drop to mixed media collages and illustrations, cut out shapes or even add stickers. 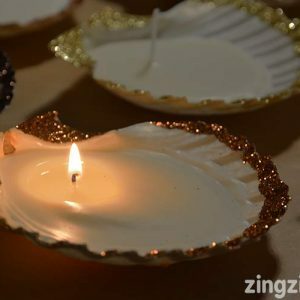 Have a look at our Rainbow Craft Hangout for some more fantastic ideas. 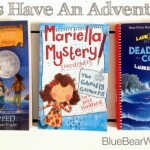 There’s a real mixture of crafts all of which if put together would make a great Rainbow Party! I LOVE the effect this gives, it’s so beautiful.